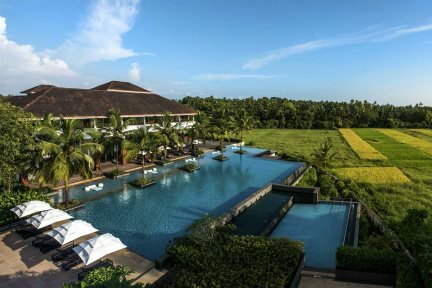 A beautiful Balinese-style property set amongst coconut groves and surrounded by verdant rice paddies, the luxurious Alila Diwa Goa offers a one-of-a-kind holiday experience. The variety of activities on offer – everything from yoga sessions to cookery courses. Afternoon tea – try the hotel’s tea cart serving local Chai tea and Indian street food. It’s delicious! The complimentary Alila Cooking Masterclass which is included for all guests staying seven or more nights. 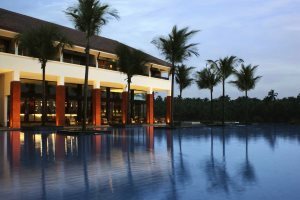 Although Alila Diwa is located 500m from the beach, the hotel offers a complimentary shuttle service throughout the day. Taking its influence from Indonesian architecture, guests will discover high-beamed wooden ceilings, open-air courtyards and water features, giving this hotel a serene, zen-like ambience. This unique charm is even further enhanced by Alila Diwa’s well-manicured gardens filled with bamboo, palms and flowering frangipani trees. Alila Diwa’s striking infinity pool sits in an elevated position overlooking lush paddy fields, where guests can relax and unwind on the sun terraces listening to the gentle sound of swaying palms, or cool off from the hot Indian sun on one of the pool’s sunken loungers. Alternatively, why not head down to Majorda Beach to sink your feet into the golden sand? 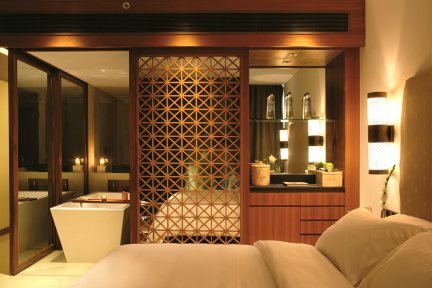 Spread over two buildings, the hotel’s spacious rooms are elegantly decorated in a minimalistic style, with soft neutral fabrics and elegant lattice shutters. Large freestanding bath tubs are the real focal point here, really adding to the sense of grandeur that Alila Diwa exudes. A great choice for food lovers, an extensive range of fine dining experiences are offered at this hotel, one highlight being the spice studio, where you’ll discover some authentic Goan cuisine and heritage Indian dishes. You can also let the hotel’s award-winning chef take you on a journey of the senses at the Alila cookery masterclass, where you’ll learn to cook Goan specialities using traditional techniques. Offering an exclusive and private hideaway within Alila Diwa’s grounds, if you’re looking to further upgrade your luxury holiday experience, we highly recommend staying in The Diwa Club Wing. With private use of not only a second pool, but an openair Jacuzzi and aromatic fine dining restaurant, guests will be able to start their day by indulging in an exceptional à la carte breakfast (served from 7am until 7pm), with further complimentary benefits such as a personal host Indian afternoon tea and sunset cocktails – what more could you want from an exclusive luxury getaway? "The Diwa Club Room was very spacious and the staff added to the overall experience. 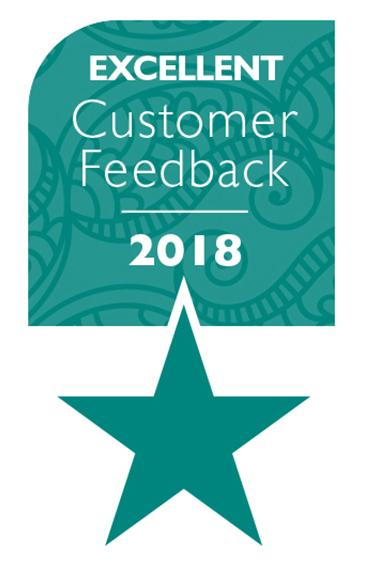 Very polite, professional and friendly." 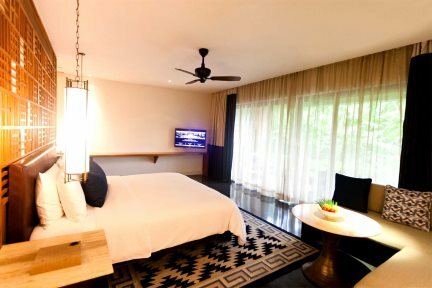 Contemporary styled rooms with a balcony or terrace overlooking the gardens or the rice paddy fields. Contemporary styled rooms located on the ground floor and overlook the gardens or the rice paddy fields. These rooms are a good choice for families as they hold an additional daybed. 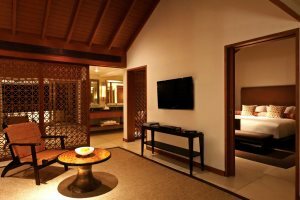 Located within the exclusive Diwa Club wing, the Diwa club rooms are decorated in an elegant style and feature a King-size bed and private balcony with views over the Diwa pool. 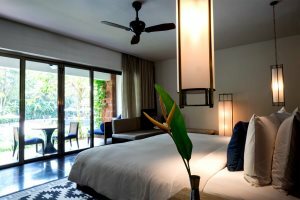 Larger in size than the Family terrace rooms, the Family suites feature a King-size bed and living area and enjoy views over rice paddies or the gardens. Larger in size, the Diwa Club Suites are situated in the exclusive Diwa Club wing. They feature a King-size bed and a separate living area with a private balcony overlooking the Diwa pool. Located on the second floor with a light and airy feel due to their pitched roofs and large balconies. Guests of the Alila Diwa are spoilt for choice when it comes to things to do. The hotel offers a variety of fantastic activities, perfect for couples and families alike, to help you get the very most out of your holiday to Goa. Nothing beats the aroma and taste of freshly baked bread. Drop by the local baker, known as 'Podher', and join him as he makes wonderfully tasty bread.